The Jetboil MightyMo Cooking System is the ultra-stowable, single burner stove that unleashes the power of a professional range. 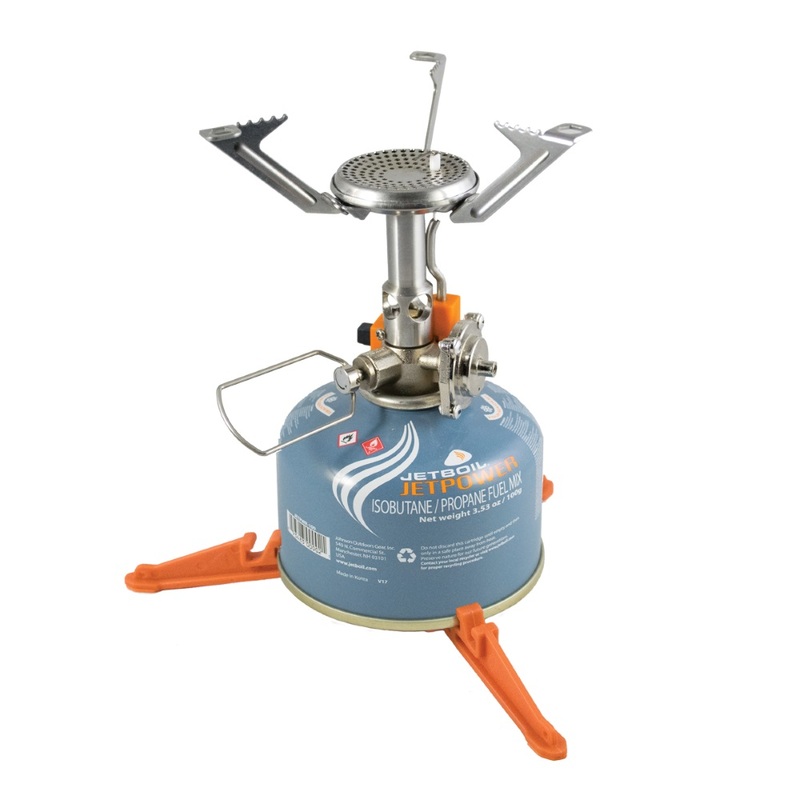 At 3.3 oz it's almost impossibly small but features a mighty 10,000 BTU burner and four full turns of the regulator valve spindle for simmer control unlike anything else in the backcountry. PLEASE NOTE: Gas, frying pan and pot are not included.